4th of July Events in the Fox Valley! The Fourth of July is almost here! There are exciting family-friendly events going on this holiday throughout the Fox Valley that we wanted to share with you! Head on down to one of our great communities for some live entertainment, kids activities, delicious food, and, of course, spectacular fireworks displays! Watch patriotic floats and bands perform as the parade makes its way through beautiful downtown Aurora. Get in the patriotic spirit by listening American classics performed by the Aurora American Legion Band and the Fox Valley Orchestra. Afterward, enjoy a spectacular fireworks display. Dance the evening away at a free concert by the band Shout Out as they perform a wide variety of favorite tunes. Bring a blanket down to Pottawatomie Park to take in the fireworks after the concert. Enjoy the fireworks show from your favorite spot in the park. Marvel at Batavia’s celebrated Sky Concert, themed this year as “Flag and Country” to celebrate our flag’s 100th anniversary. Before the display, listen to performances by cover band We’re Not and the Batavia Community Band. Celebrate America’s 240th birthday at one of these amazing events in the Fox River Valley! The Rullo Team wishes you and your family a very happy and safe Independence Day! It's the Swedish Days Festival in Geneva IL! It’s time for one of our favorite FOX VALLEY festivals all year….the Swedish Days Festival in GENEVA ! 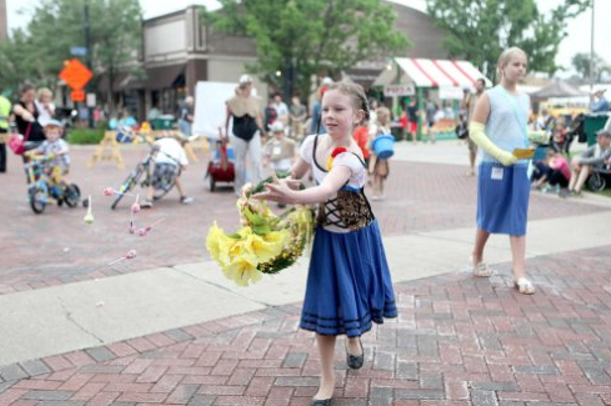 The 67th annual festival began yesterday and will continue through Sunday, June 26th. Enjoy days of fun, food, entertainment, and activities for the whole family! Head on down to Third Street and the surrounding downtown area in Geneva to partake in the festivities. Dine on delicious food from a multitude of vendors. There is something offered for all taste buds, including more traditional Swedish food like meatballs! For those 21 and over, swing by the craft beer tent to try brews from great local breweries. There are plenty of activities offered throughout the festival to keep everyone entertained! Listen to live music daily. The kids will never be bored with the multitude of activities planned for them, including a daily carnival, the quad power jump, an arts and crafts station, and much more. Participate in the inaugural Swedish Days 5K Lopp on Saturday, June 25th. Race and registration information can be found here. Watch the Swedish Days Parade on Sunday, June 26th, at 1:00 pm as it makes it way downtown Geneva. And, of course, swing by the festival favorite attraction, the Sweden Väst, this weekend to partake in all things traditionally Swedish! We can’t wait to see you downtown Geneva at the 67th Annual Swedish Days Festival! Get your Full Schedule of Events right here! 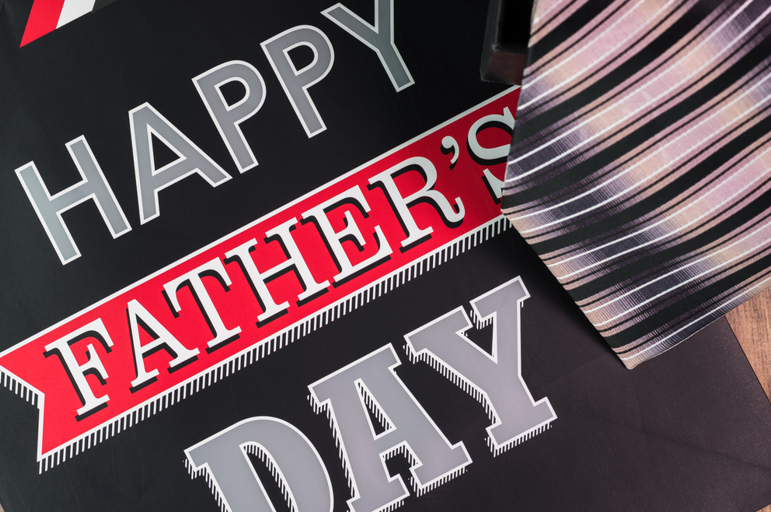 Top 10 Things to Do with Dad on Father's Day in the Fox River Valley! This Sunday, June 19th, is Father’s Day! Time to celebrate the dad in your life. No matter what your dad loves to do, there is something for everyone happening this weekend around the FOX RIVER VALLEY. Here’s a list of the top 10 activities for you to show your dad how much you appreciate all that he does! 1) CAR CULTURE: STALLION’S GATE CAR SHOW. For the car loving dad, check out some hot wheels at Ron Hopkins Ford (1045 East Chicago Street) in ELGIN for their Stallio’s Gate Car Show on Saturday, June 18th. The show will feature all makes and models of cars and bikes. Munch on some hotdogs and enjoy refreshing ice cream as admire mustang restorations and the awesome automobile airbrushing talents of Psychotic Air. 2) FATHER'S DAY BRUNCH. Treat your dad to a delicious brunch on Father’s Day at the Loyola University Retreat and Ecology Campus (2710 S Country Club Road) in Woodstock. Nibble appetizers, entrees, and desserts and enjoy some mimosas and Bloody Marys as you celebrate your dad. 3) ST. CHARLES PADDLEWHEEL RIVERBOATS. Take in the beautiful Fox River aboard a Mark Twain era paddlewheel riverboat with your dad. This 50 minute tour will introduce you to the local history of our area. Embark this Sunday, June 19th, on the 2:00, 3:00, 4:00, or 5:00 pm cruises. 4) GOLF AT SETTLER'S HILL. Hit the links with dad at this favorite golf course in BATAVIA. This unique golf course nestled in a forest preserve showcases the natural beauty of our area. Enjoy quality time with dad outdoors as you work on your swing. 5) EAT AT CLADDAGH IRISH PUB. Bring your father to Claddagh Irish Pub located in GENEVA. Dad gets to eat free with the purchase of an entrée. Enjoy traditional Irish dishes between 11:00 am and 9:00 pm. 6) FISH ON THE FOX RIVER. Grab your fishing rods and your father and check out on of the many great fishing spots along the Fox River. Catch channel catfish and smallmouth bass as you and your dad enjoy the great outdoors. 7) SWIM AT SPLASH COUNTRY AND PHILLIPS PARK. Dad’s swim for free on Sunday at Splash Country Water Park and Phillips Park Aquatic Center when accompanied by one child. Beat the summer heat and have a day at the pool! 8) FATHER'S DAY BRUNCH AND DINNER. Take dad out for an upscale meal at Wildwood in Geneva on Father’s Day. Arrive between 10:00 am and 2:30 pm for an a la carte brunch featuring all of dad’s favorites. Or, come after 5:00 pm to enjoy dinner and check out the latest items on their menu. 9) REGATTA ON CRYSTAL LAKE. Bring dad up to Crystal Lake to watch the 32nd Annual Cardboard Cup Regatta on Saturday, June 18th. Watch these amazing handmade cardboard boats race the 200 yard course. This year’s theme is “Celebrating Our Fathers”. 10) ELGIN RIB FEST. Let dad indulge in some delicious ribs at the family friendly Elgin Rib Fest. Enjoy life music, carnival games, and delicious food all weekend, Friday through Sunday! 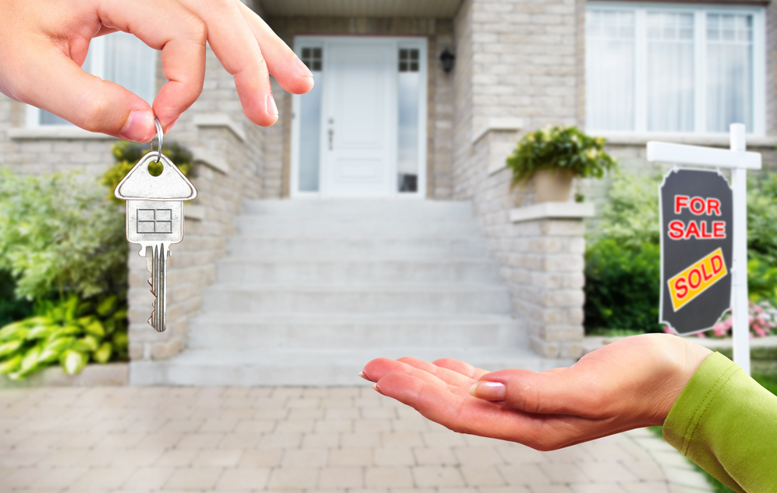 6 Successful Tips for Fox Valley Home Buyers in a Seller's Market! Buying a new house is an exciting and important time! There is no better place to call home than the FOX VALLEY! House hunting in a seller's market, though, adds more factors for you to consider during the process. Although the market might not be favoring buyers at the moment, there are many things that you can use to your advantage to help you buy your dream home! Look through the current HOME LISTINGS so we can help you begin this exciting journey, and follow these 6 useful tips for buyers in a seller's market. WORK WITH AN EXPERIENCED AGENT. Eliminate some of the time and stress that comes with house hunting by working with an experienced real estate agent. Team Rullo Real Estate is here to help you find your dream home! Let us know exactly what you are looking for. We understand the Fox Valley housing market, now what is available, and negotiate the best deal for your new home! Read ABOUT US to learn about our experience and our commitment to you! BE DECISIVE IN MAKING AN OFFER. Buying a home is a major decision so being thoughtful about the home you make an offer on is imperative. But don’t get bogged down in over analyzing. Before you begin the house hunting process, be sure to know exactly what you are looking for in your dream home…price, location, and type. When you find a home that checks all of the factors you have previously determined, make an offer! You don’t want to miss out on your dream home due to overthinking. MAKE YOUR BEST OFFER. Start with a strong opening offer. You should know the maximum that you are willing to pay. Although we all want to get the best deal possible, in a seller’s market competition is high. If you come in with too low of an opening offer, you could miss out on your dream home. Be aware of what other houses are on the market and the pricing of the homes in the area. This will help you determine what is an appropriate amount to negotiate for the house you want. Have a strong opening offer that you are comfortable with AND that will be acceptable to the seller. PREPARE FOR A BIDDING WAR. Bidding wars inevitably cause stress for buyers. The fear of missing out on your dream home is understandable. However, competition in a seller’s market is high. Know what you are willing to pay and search for houses below your max budget. This will help you avoid spending more than you are comfortable with should you end up in a bidding war. LEARN FROM YOUR MISTAKES. You might not get the first home that you make an offer on. In a seller’s market, it is likely that you will have to make several offers on homes before finding the perfect one for you. Recognize what happened with the transactions that don’t work out and learn from them. Stay true to what you want and realize that there are other options in the Fox Valley that our team will be happy to help you find! Fox Valley Elementary School Teachers Rank Top in Illinois! Where your child will attend K-12 is an important factor in house hunting. Here in the FOX RIVER VALLEY we pride ourselves on our school districts. Our teachers are a major contributing factor to the strength of our schools. Niche K12, which provides local reviews of K-12 educational institutions, recently released their list of the top 100 elementary schools in Illinois with the best teachers, and we are happy to report that teachers in AURORA, GENEVA, SOUTH ELGIN, ST. CHARLES, and BATAVIA all made the grade!! Niche K12 ranked Illinois elementary schools based on seven criteria…. (1) Niche Academics grade, (2) Niche Teachers grade, (3) average teacher’s salary, (4) teacher absenteeism, (5) teacher salary index, (6) teachers in first or second year, and (7) student to teacher ratio. Each of these factors were weighted and a ranking was derived from the results. Elementary schools throughout the Fox River Valley were in the top 100 schools in Illinois with the best teachers!! The cities of Aurora, Geneva, South Elgin, St. Charles, and Batavia are great places to raise a family, and our schools are foundational to our communities. We would like to recognize the elementary schools listed below for their dedication to teaching excellence. All of these schools are surrounded by excellent neighborhoods for any family to call home. #16 Gwendolyn Brooks Elementary School-- Current Home Listings near Gwendolyn Brooks. #34 Georgetown Elementary School-- Current Home Listings near Georgetown. #47 Williamsburg Elementary School-- Current Home Listings near Williamsburg. #57 Harrison Street Elementary School-- Current Home Listings near Harrison Street. #76 Corron Elementary School-- Current Home Listings near Corron. #63 Fox Ridge School-- Current Home Listings near Fox Ridge. # 74 Ferson Creek School-- Current Home Listings near Ferson Creek. #86 Hoover Wood Elementary School-- Current Home Listings near Hoover Wood. Congrats to all of these highly ranked elementary schools! Thank you to the teachers for all that you do!! The Spectacular Chicago Blues Festival 2016! Summertime in Chicago is always a treat but few festivals are as emblematic of the best the Windy City has to offer as is the Chicago Blues Festival. This annual event is the largest free blues festival in the world! The Chicago Blues Festival honors the rich musical tradition of blues goes back generations in the city. Celebrate this heritage and get down and dirty this weekend, June 10th through the 12th, at Grant Park at the 33rd Annual Festival! This amazing event offers the best that blues music has to offer featuring the top musicians from around the world. Enjoy three full days of FREE entertainment from your favorite Blues greats as well as the best up and coming musicians. This year’s opening night on Friday will celebrate the 45th anniversary of Chicago’s Alligator Records. The night will feature several of the labels renowned musicians and be headlined by Grammy nominated Shemekia Copeland. After enjoying the tunes on Friday, be sure to come back on Saturday for Soul/R&B night! The festival will conclude on Sunday evening with a tribute to blues legend Otis Rush. Whether you love jazz, blues, funk, soul, or just a weekend of pure entertainment, the Chicago Blues Festival will surely be one of the highlights of your summer! Come get your groove on with us all weekend at the 33rd Annual Chicago Blues Festival! !